Most of you know that I’ve been pretty obsessed with Knutsen and his instruments since the 1980s. I’ve spent a lot of time putting his instruments and activities into perspective. One thing that always intrigued me was how he got around. Apparently, often by boat up around Tacoma and Seattle and by train from those cities to his extended family in Minnesota and back again. Perhaps a long multiple-train trip down to his new home in Los Angeles? Once in the Echo Park area, he could’ve hopped on the trolley to get around to his local customers and sources. But what about trips further afield? Surely he attended the Pacific Panama International Exposition in San Francisco during its run from February to December, 1915. Its Hawaiian Pavilion and continuous performances by immensely popular Hawaiian musicians spawned the craze for this “new” music and new instruments to play it on. Knutsen, already having built steel guitars, now abandoned his standard harp guitars and went into exclusively Hawaiian instruments for the remainder of his life. There are dozens of images of Hawaiian bands featuring Knutsen instruments, and the obvious assumption is that Knutsen was somehow shopping and selling them to Hawaiian musicians on the West Coast. But how did he get around? Why, in his trusty Maxwell touring car, of course! With his family joining him, and two of the daughters sitting outside the entire time in custom Knutsen chairs hanging off the sides! 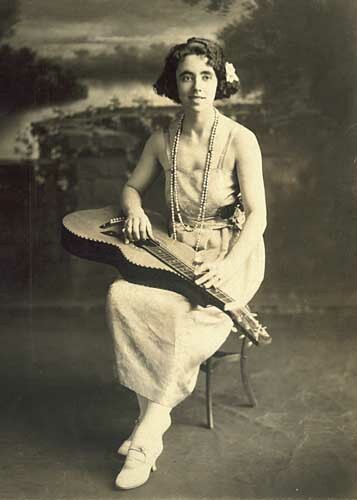 Knutsen biographer and distant relative Jean Findlay recently unearthed this remarkable article, which is more of a commercial for the car company than anything else…though it is equally a commercial for Knutsen’s steel guitars. Clever man. The piece was published in the Santa Ana Register on July 12th, 1919 upon Knutsen’s return from a trip to Seattle. I’ve driven to Portland and back, and that’s a long 2-day trip. I would not want to be perched outside a Maxwell, jostled in my seat for seven days while my dad braved 1600 miles of 1919-technology roads, assuring me that I wouldn’t be scraped off along some mountainside. Sure he saved money, but then where did we sleep? Under the stars? I love how Chris “ran the numbers,” and happily disclosed everyone’s weight. 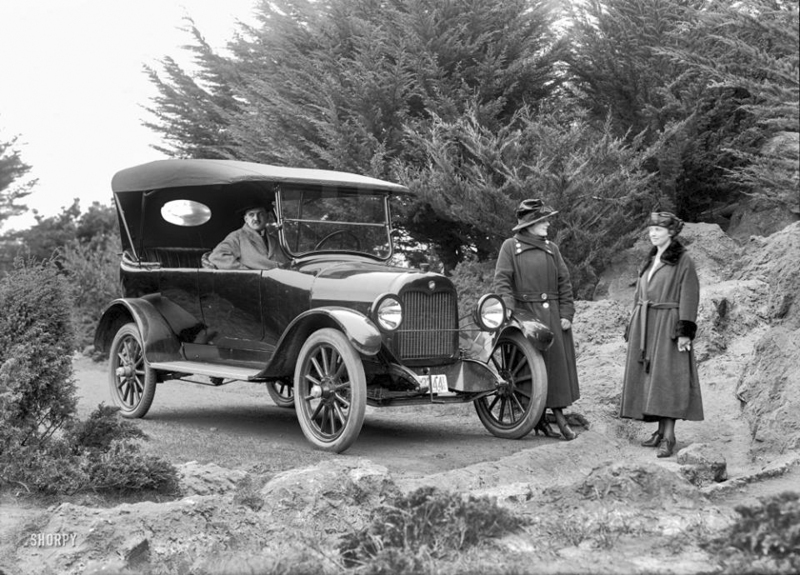 Below is a 1919 photo of touring model Maxwell that’s probably similar to what Knutsen owned. Throw in a few steel guitars and it’s a pretty bucolic scene, isn’t it? Until one gets back on the road! And I thought Dad gave us the most harrowing “Mr. Toad’s Wild Ride” across the west’s winding mountains pulling the Apache trailer and us without seatbelts in the back of the Rambler station wagon! Amazing story, Gregg. Thanks for sharing this.